Untouched Beauty – If you are looking for that tucked away destination, then look no further that The Preserve at Bedico Creek. 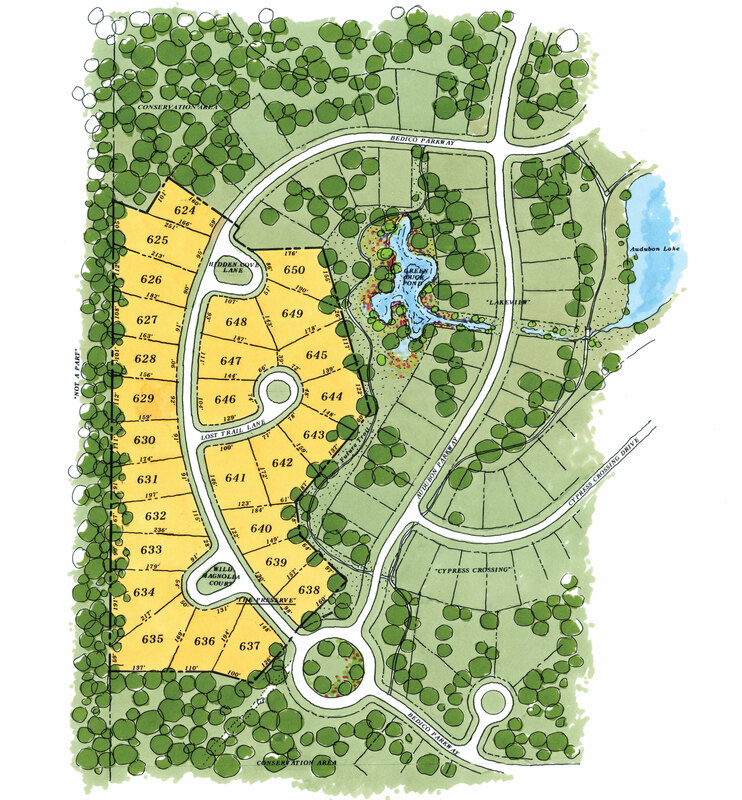 Set deeper in the community, The Preserve offers a retreat to nature as it should be, quiet and secluded among trails and trees. Bedico Creek residents enjoy an array of activities such as the community pool, 3.5 miles of concrete walking, jogging, hiking and biking trails, fishing at the lakes, camping and more. Located inside the Madisonville School District, Bedico Creek is the perfect family-friendly and affordable choice. And the location of Bedico Creek is just far enough away from the I-12/Hwy. 21 corridor of Covington, to still provide residents close proximity to grocery and retail shopping in the Nord Du Lac Shopping Mall.